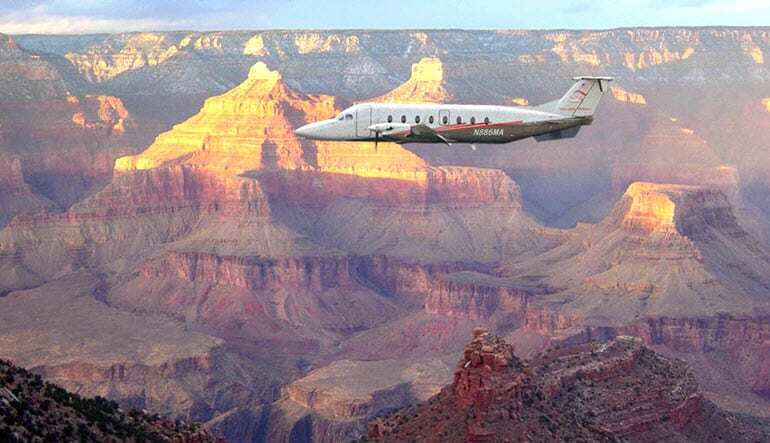 This airplane tour of the Grand Canyon takes only four hours from your Las Vegas hotel room to over the Canyon and back again. Of the many landmarks encountered on this sightseeing flight, The Grand Canyon takes center stage. Soar over the magnificent Natural Wonder and get stellar views of its unimaginable vastness. This airplane tour of the Grand Canyon takes only four hours from your Las Vegas hotel room to over the Canyon and back again. It’s the perfect excursion for those who don’t want to eat up a full day but still want to experience one of the very best adventures Nevada has to offer. Get transportation from your hotel to the takeoff site and hop in the spacious Cessna Grand Caravan. First stop on the flightpath is the famous Hoover Dam. Keep your camera handy! Next, it’s on to Lake Mead, Fortification Hill and Temple Rock. 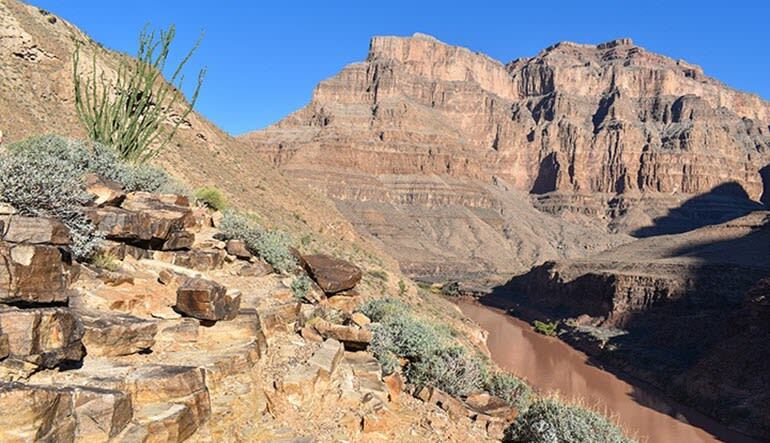 Continue onwards to historic Boulder City and follow the Colorado River right to the Grand Canyon! Get great airtime over the Canyon and take in its mythical splendor from up close! Get shuttle service back to your hotel. The Cessna Grand Caravan is equipped with wide windows and individual leather seats, ensuring the views are all up to snuff. If you’re looking to snap a few shots to impress, this adventure gives you more than enough to take aim at!